The business world loves its innovators. Yet for all the hoopla about the Apples, Googles and start-ups in the world, the number of companies that innovate overall is relatively low. Approximately 80% of respondents to a survey by the Boston Consulting Group rated innovation as a topmost or a top-three priority. Granted the National Science Foundation’s survey is eight years old, but it’s likely that the numbers are still in the ballpark, and paint a rather clear picture of the state of innovation: Many talk the talk, but few walk the walk. 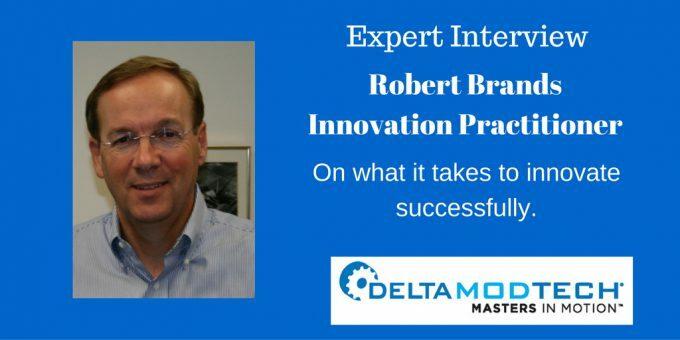 Enter Robert Brands, a self-described “innovation practitioner” — who is an Innovation Coach and the President and CEO of VariBlend Dual Dispensing Systems. Brands is not a household name, but the innovation he brought to the marketplace back in 1998 literally is. Brands was formerly the CEO of a small packaging company that set a goal of creating one or two new products a year. In 1998, that commitment to innovation paid off. They developed the technology and the patent behind the foam dispensing pump used in soaps and shampoos. The simple innovation led to double-digit profitable growth for his company, which he sold in 2006 at 15x EBITDA. Today over 250 million pumps are sold a year. Brands subsequently took on a position of running a billion-dollar a year packaging company, but always felt the pull of the innovators. He since has returned to his roots of writing, teaching and practicing innovation. Brands notes that his approach applies to any company, anywhere. However, we asked specifically about innovating in a highly technical field, and he was happy to share some strategies. 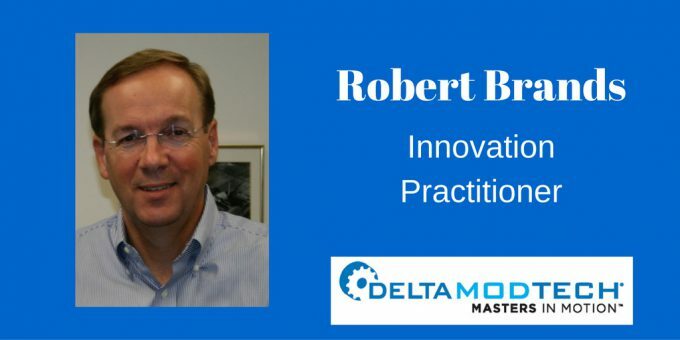 Be sure to also listen to three of Robert’s overall Rules of Innovation in the audio interview, available via this link. Here’s a link to Robert’s book that details the rules. Why reinvent the wheel? A.G. Lafley, former CEO of Procter & Gamble, actively pursued a strategy known as Open Innovation. Instead of creating a new product or service yourself, re-engineer an innovation from a different industry. Open Innovation allows you to find a well-tested and operated technology, without the cost of having to build from scratch. No other technique allows for the robust speed-to-market of Open Innovation. 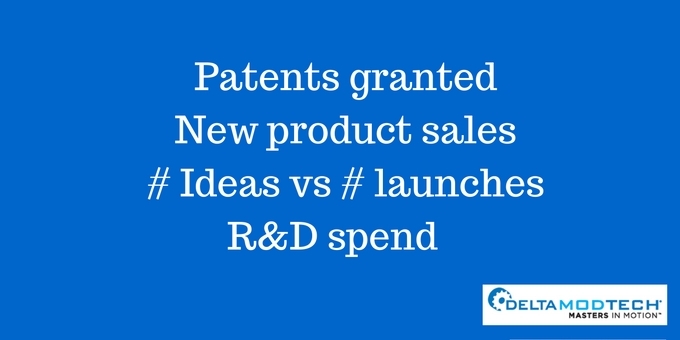 Here’s a great video that shows some of the nuances of Open Innovation. At the time, his company was looking for a shaving foam formulation that would work with the pump dispenser challenges. They held a contest and asked select academics and business innovators to develop a formulation, with a cash reward as the challenge. Today, Brands recommends you start any Crowdsourcing internally, to avoid security risks. Tap into the minds of people not directly affiliated with the project. For example, an engineer on a different project might know of a related process or technology that could help. From there, you can expand the Crowdsourcing to select groups of academics or business innovators. As you’d imagine, like minds tend to think alike. 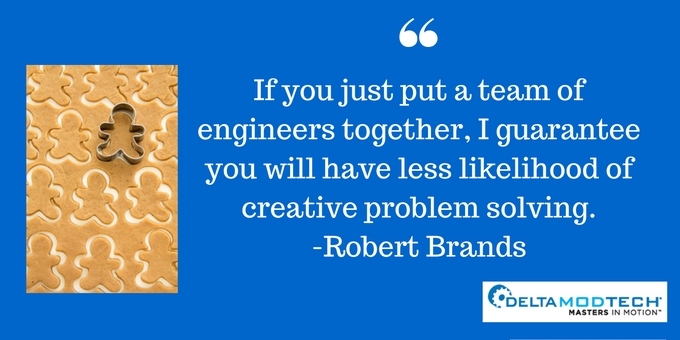 “If you just put a team of engineers together, I guarantee you will have less likelihood of creative problem solving,” Brands said. Instead, create a team that is diverse in personalities, roles and titles. For example, assemble people who work in customer service, production, sales and finance. The more diverse you are, the more creative solutions you’ll get. 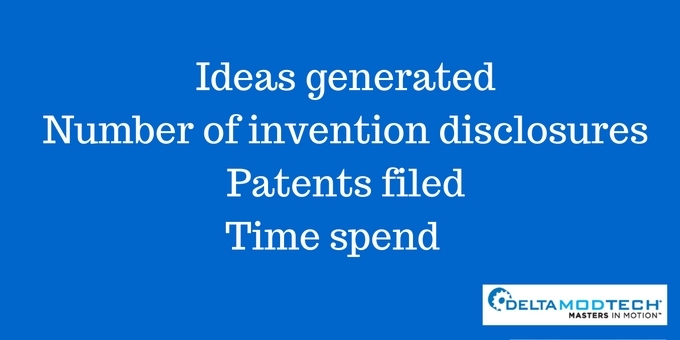 Companies typically try to “Brainstorm” new ideas. The technique usually produces more awkward silence than it does solutions. Brainwriting is different. Here’s how it works: You gather 6-8 people around a table, with the stated objective of either coming up with a new idea or solving a problem. Everyone is given a piece of paper, and asked to write down a solution. Then each person passes the sheet to a neighbor, who adds comments to what the first person has written. By the time the sheet has been passed around the room, you should have six different solutions, each with six different comments. These are then shared with the group. Now with something concrete, there’s less pressure on the group to “brainstorm” from scratch, and they can innovate from these freshly-minted solutions. Here’s a video that explains Brainwriting and the 3-6-5 method. Avoid having all the proverbial eggs in one basket. You should always have a reliable Plan B in place. Why? Because this is innovation, folks, and you WILL fail. Not always. But you will fail. And you should. Innovation means taking risks and those risks don’t always pay off. Take it from one of the greatest winners of all times (see video below): Sometimes losing is the only way to achieve the ultimate victory. The willingness to take risk is much easier when you’re focused on the right metrics. We asked Brands how a company could measure the ROI of innovation efforts. He responded that most conventional metrics tend to be random and meaningless. 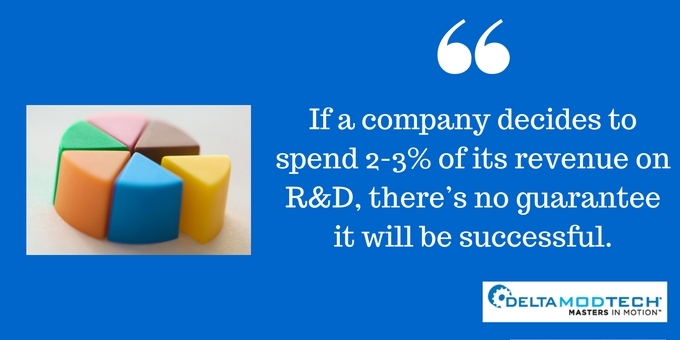 “If a company decides to spend 2-3% of its revenue on R&D, there’s no guarantee it will be successful,” Brands said. Most companies make the mistake of looking at lagging indicators for the key performance indicators. These are after-the-fact stats — new sales, revenue, etc. All important numbers, but they’re not what drives innovation. Let’s take a closer look at leading vs. lagging indicators. If you want to truly create an innovative culture, focus on leading indicators. Observe and measure the number of new products in the pipelines, or how many patents you’ve filed. Brands’ company had a goal of two new products a year. If you read this post and think this sounds like an ideal springboard for innovation, then you either need to find a CEO or have a CEO willing to take the risk. Because it all starts with the CEO. They have to be willing to initiate and inspire. They have to be not only the chief innovation officer, but the chief risk taker. If only 22% of manufacturers are actually innovating, you’re at greater risk of being grouped with a bunch of me-toos than you are of actually distinguishing yourself and your business. And doesn’t that sound like a risk that’s simply too big to take?